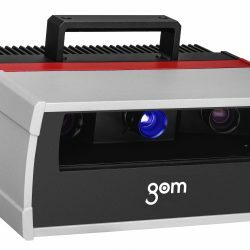 The ATOS Capsule is the latest 3D optical measurement system from GOM, ideal for scanning small to medium sized objects at very high resolution. 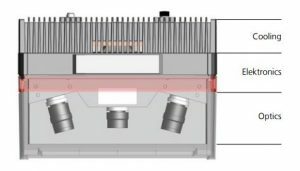 The system can be used for dimensional inspection or reverse engineering applications, with object detail being obtained via fringe projection capture mode. Applications of the ATOS Capsule include first article inspection of gears, turbine blades, wheels and medical parts. The ATOS sensors return full-field distributed 3D coordinates for eachindividual measurement. 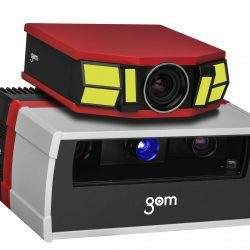 Up to 12 million independent measuring points are captured within 1 to 2 seconds. The measuring data is characterized by very high detailed reproduction, thus also enabling very small component features to be measured. 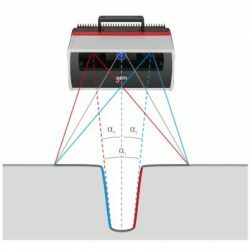 This automatic principle offers advantages for measuring reflective surfaces and objects with indentations .Complex part geometries are also made easier to scan, with fewer measurements needed to capture the required data for inspection. 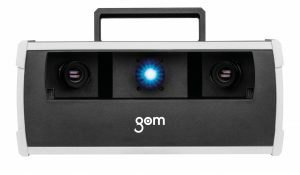 In GOM’s automated measuring machines, ATOS sensors can be operated together with the Plus Box, a photogrammetric add-on sensor, which is directly mounted onto the ATOS system. 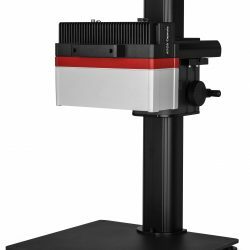 It allows for fully automated measuring of reference point markers with a deviation of 3 μm to 15 μm. The sensor recognizes changing ambient conditions during operation and is able to compensate these changes. 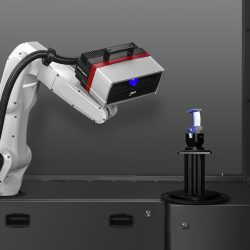 The sensor is continuously monitoring the calibration status, the transformation accuracy, environmental changes and part movements to ensure the quality of the measuring data.